123 Refills is launching the Inkedibles ™ brand edible ink cartridges this month (October 2011). Inkedibles ™ has a full line of edible inks for Canon and Epson inkjet printers, and offers its edible inks in 100ml ink refill bottles and in edible ink cartridges for Canon PGI-5 / CLI-8 / PGI-220 / CLI-221 / PGI-225 / CLI-226. How do edible inks work? Edible inks are used by cake decorators to print edible images that can be placed onto cakes. Any image / photo can be printed onto edible paper with an inkjet printer using edible ink (also referred to as eatable ink or ink frosting). The edible ink runs through the ink cartridges (refillable, auto-resettable brand new compatible ink cartridges that hold edible ink), and onto the edible paper (frosting sheets). The frosting sheets with the printed edible image are then placed directly onto frosting covered cakes, and that's all there is to it! Your cakes look like they have personalized photos printed right onto them! 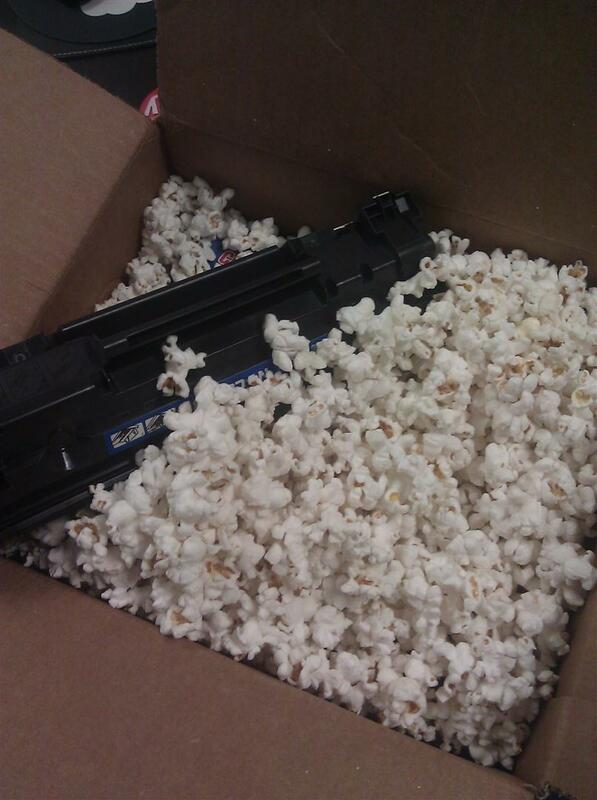 Popcorn - a good packing material for shipping toner cartridges? Cushioning and protecting your products during shipping with Styrofoam packing peanut pieces and packing popcorn is common. There are even biodegradable packing peanut and popcorn that are easier on the environment and actually dissolve in water. But at least 1 customer has taken the environmentally friendliest approach to returning their cartridge - by using, well, popcorn. Not the packing popcorn that you are thinking of, but real popcorn. 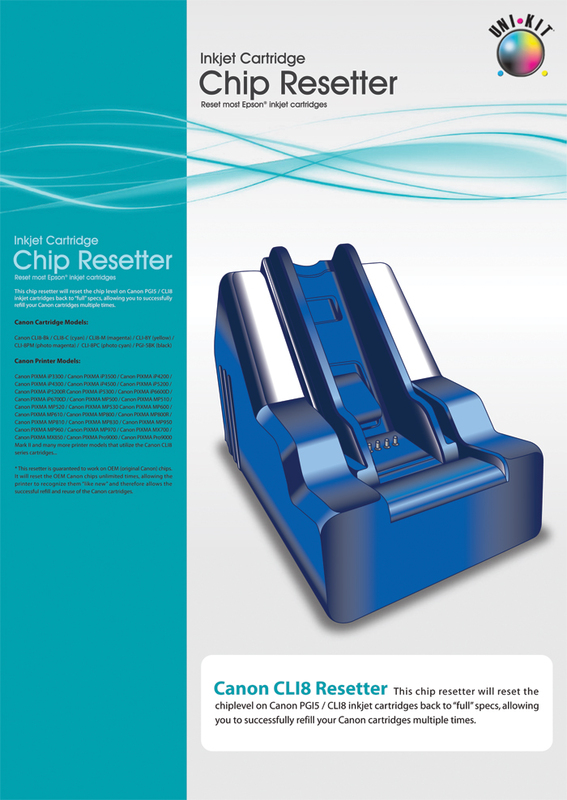 Check out the new Canon CLI226 Resetter by Uni-Kit which resets Canon CLI-226 and PGI-225 inkjet chips. Check out the new Canon CLI221 Resetter by Uni-Kit, which resets Canon CLI221 and PGI-220 inkjet chips for both original and compatible cartridges.